The application chart is to be used for general fitmit only. 2002, 2003, 2004, 2005, 2006 Acura RSX 3 Door type S WITH 2.0 ENGINE. Skunk2’s cutting-edge Composite Fuel Rail for Honda’s K-series engines (non-Civic Si) is here. Skunk2’s K-series Composite Fuel Rails are compatible with the factory fuel system, as well as all fuels, including alcohol, and can support up to 1,200 hp, with gains as high as three percent realized during testing. Acura RSX 2006-2002. Honda Civic 2007-2002. Hose Connector Quantity 1. Trending at $39.14eBay determines this price through a machine learned model of the product's sale prices within the last 90 days. 2002-2006 ACURA RSX Base Model. 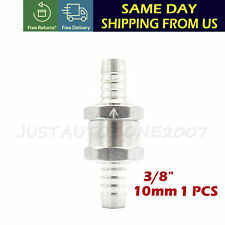 Part Fits the Following Honda & Acura Vehicles Very often there is more than one part available per application as auto makers often switch midyear. IMPORTANT NOTICE. Acura Rsx TypeS Throttlebody. Condition is Used. Comes as you see it, please review the photos before placing a bid. 2002-2006 Acura RSX (K20A2, K20A3, K20Z1). This material insulates the fuel from both radiant and conductive heat transfer under the hood. Keeping the fuel cooler results in an increase in horsepower and torque. The K-Tuned multi-port fuel rail is by far the best looking rail on the market. K-Tuned has designed an optional one piece fitting that uses the existing center port on this fuel rail just below the K-Tuned logo. Part Number: AC488. Warranty Duration:Other. 2002-2006 ACURA RSX L4-2.0L. 2002-2005 HONDA CIVIC L4-2.0L. Toys & Hobbies. item fits your vehicle. Other part number: AC480, 16022PRBA01, 16022PRBA02, 16022PRDA02. 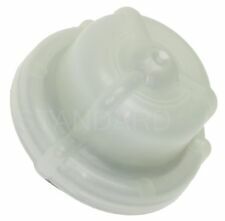 OEM part number: 16022-PRB-A01, 16022-PRB-A02, 16022-PRD-A02. Acura / Honda K-Series K20 Aluminum High Flow Fuel Rail Kit. 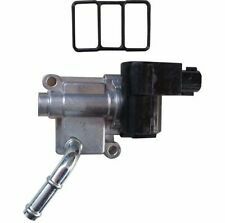 Works With OEM Fuel Pressure Regulator Or An Adjustable Fuel Pressure Regulator (Doesn't Mount Directly To Rail). CNC Machined High Quality Billet Aluminum. This material insulates the fuel from both radiant and conductive heat transfer under the hood. Keeping the fuel cooler results in an increase in horsepower and torque. We have seen power gains of up to 3% in real world testing. Material: Composite. Make: Honda, Acura. 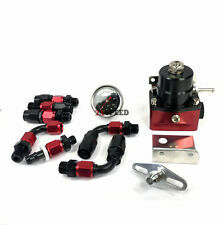 Integrated -8 AN inlet and outlet for easily customized fuel lines. 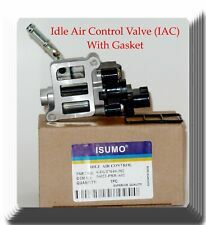 Features OEM fuel pressure regulator provisions. 33-percent lighter, 60-percent stronger. Part Number: 350-05-5010. Part Number: AC488. Interchange Part Number : 73-4599, 2H1385, AC488, AC4248. Part Numbers: 2H1385, 73-4599, AC4248, AC488. Manufactured with the highest grade materials for prolonged life and superior performance. This is a fuel injector and fuel runner removed from a 04 Acura Rsx base model. SHOULD fit 02-06 Acura Rsx base model and possibly others. . P lease read below >>>>>>. Honda Parts Unlimited. (1) Now included with the K-Tuned fuel rail is a specially designed fitting that can be used to mount the OEM damper in the factory location (usually for 8th gen civic owners). Many of us remove the factory rail and the pressure damper without knowing its purpose. OBX Racing Sports™ Fuel Injection Rail (3pcs). 2002-2006 Acura RSX Base/Type-S K20A2/K20A3/K20Z1 2.0L I4. 2002-2005 Honda Civic SI Hatchback K20A3 2.0L I4. Larger bore allows more fuel to be fed to the injector. ACURA RSX TYPE-S 2005-2006 : K20Z1. ACURA RSX TYPE-S 2002-2004 : K20A2. OBX Injection High Technology. 2002-06 ACURA RSX BASE, TYPE-S / 02-05 CIVIC SI (HATCHBACK)Red Color. ACURA RSX 2002-2006 : K20A3. Every component either matches or improves on the OE design to ensure fast, easy installation, superior performance and reliability. 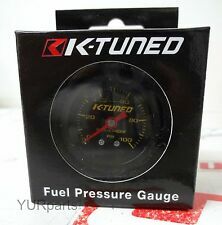 •: Regulates the amount of air entering the engine during idle. •: Exclusive air flow testing ensures consistent performance. EFI rail only (includes EFI fittings). The K-Tuned multi-port fuel rail is by far the best looking rail on the market. 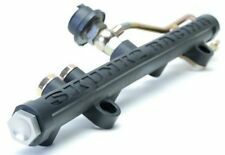 K-TUNED FUEL RAIL EFI (BLACK). K-Tuned has designed an optional one piece fitting that uses the existing center port on this fuel rail just below the K-Tuned logo. 2005 thru 2006 Acura RSX Type-S (K20Z1). 2002 thru 2004 Acura RSX Type-S (K20A2). 2002 thru 2006 Acura RSX Type-S Base (K20A3). 2002 thru 2006 Acura RSX Type-S (K20A3). R High Perf ormance Fuel Injection Rail. 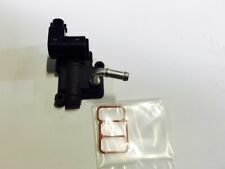 OBX Racing Sports™ Fuel Injection Rail (2pcs). 2002-2006 Acura RSX Base/Type-S K20A3 K20A2 K20Z1. 2002-2005 Honda Civic SI Hatchback K20A3. Billet lightweight 6061 T-6 aluminum. Larger bore allows more fuel to be fed to the injector. K20, K20a, K20a2, K20z, K20z1, K20z3, K24, K24a K24a2, etc. K-series fuel rail black color. 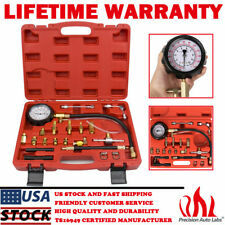 has been tested on many k series engines with no fuel leaks. will work for tucked braided fuel lines. fuel pressure gauge port 1/8npt. For these chassis, we have developed pre-assembled fuel feed line kits using our lightweight black fuel hose and black anodized fuel fittings. The first connection is made at the firewall, using a special female EFI fuel adapter that properly adapts the factory hardline to a standard 6AN male fitting. 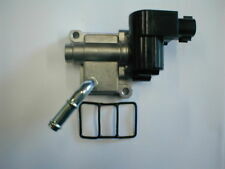 It's the Genuine OEM HONDA and remanufactured IACV which being reconditioned. Acura RSX TYPE-S ! 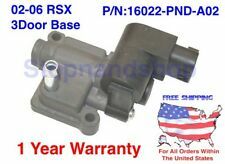 Fits on the Honda 2002 - 2005 CIVIC SI 3-DOOR, DC5 TYPE-R . Other Part Number : Genuine OEM. 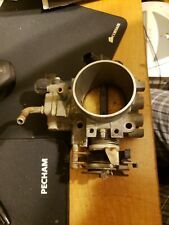 Interchange Part Number : DC5 TYPE R.
Notes: Does not fit Base RSX intake manifold. A two piece fitting uses the existing center port on our rail to properly mount the fuel gauge in the center of our rail just below the K-Tuned logo. The K-Tuned multi-port fuel rail is by far the best looking rail on the market. Intended for K Series swapped cars, but also fits 2002-2006 Acura RSX Base and Type S - K20A, K20A2, K20Z1. 2004-2008 Acura TSX - K24A2. 2006-2011 Honda Civic Si - K20Z3. Fuel rails include mounting hardware, -8AN Plugs, and -8AN to -6AN Reducers. The ID1050x is the evolution of the ID1000, and the latest addition to the X-Series. Like the ID1300x and ID1700x, the ID1050x is not a modified production component. ID1050x, for 02-09 RSX / K-series. Part Number: AC488. Warranty Duration:Other. USE COMPATIBILITY TOOL AND MOUSE OVER NOTES FOR DETAILS. You need to MOUSE OVER the left column to read the complete text. Engineers at Skunk2 Racing have developed primary and secondary fuel rails for the popular Ultra-Series Race intake manifold. 2002: -8AN Inlet/Outlet; 0.669 in. 2003: -8AN Inlet/Outlet; 0.669 in. 2004: -8AN Inlet/Outlet; 0.669 in. This rail has been shown to mount to the PRB, RBC, and RBB intake manifolds without needing any modifications. Each rail includes a 1/8" NPT hole that allow you to mount a fuel pressure gauge directly to your fuel rail.